The conventional treatment for strokes for decades was Warfarin (Coumadin), which is a blood thinning medication. In 2010, the U.S. Food and Drug Administration (FDA) approved the first of a new class of drugs to compete against Warfarin. This new class of drugs was labeled new or novel anticoagulants (NAOCs) and works in a different way that Warfarin. This new drug was called Xarelto, and when it came on the market, many patients started taking it instead of Warfarin.At one point, Xarelto controlled more than 60 percent of the market share. However, other NOACs soon entered the market. This included Pradaxa, Eliquis, and eventually Savaysa. They all do similar things and are similarly dangerous to patients. These drugs, as our Boston Xarelto injury attorneys can explain, were put on the market to treat patients who have a serious medical condition known as atrial fibrillation (Afib). Afib, as you have likely heard about in the constant commercials, is a medical condition involving an irregular heart beat not caused by a heart valve defect. If a patient has Afib and is not taking medication, they are more likely to develop blood clots. These clots can form deep within the veins of the legs. This is called deep vein thrombosis (DVT). A DVT clot can break lose where it can travel through the circulatory system causing all types of problems. One major problem it causes is that the clot can puncture the walls of the lungs. This is known as a pulmonary embolism (PE) and is often deadly. The clots can also travel to the brain where they can deprive the brain of oxygen resulting in stroke or brain damage, or both. Warfarin was the standard treatment for many years, but there is a downside. A patient must go to the doctor for frequent blood tests to make sure they are getting the proper dose. If they are getting too large a dose, it can result in a serious internal bleeding disorder that can be fatal. However, when a patient goes to the hospital, it is easy to reverse the bleeding in most cases. These NOACs are supposed to not need to be constantly monitored, but they were a one dose fits all medication as we have discussed on other posts on this blog. Unfortunately, that did not turn out to be as may patients developed a serious internal bleeding condition, and unlike with Warfarin, there was not reversal agent (antidote) approved by the FDA. This meant that patients were dying in the emergency room, because there was often nothing doctors could do to stop the bleeding and this included intracranial bleeding which often leads to brain damage and death. As it turns out, aside from all of the health issues and risks associated with Xarelto, Pradaxa, and Eliquis, it doesn’t appear they are working as well as other conventional treatments such as stents and stent retrievers as they have been more successful in prevention of stroke in high-risk patients. This is why, as discussed in that Bio Pharm Drive article, while the number of people on NOACs is going up, the number of patients having strokes is also rising. This means there is not only a question of safety, but also efficacy. Questions of safety and efficacy are the primary reason these drug companies are found liable when someone suffers a serious or fatal reaction to these medications. Many times, liability arises in the course of clinical trials. When you sue a company (or store) because you were injured by one of their products, this type of lawsuit is typically brought as a products liability claim. The claim is still based on negligence like in many other personal injury lawsuits, but it involves the negligent manufacture or failure to warn of a known danger. First it should be noted, that in products liability cases involving a dangerous or defective drug, the drug is considered a “product” and the patient is considered a “customer.” While this may seem straightforward, there has actually been a great deal of contention in litigation over this fact. Some think of that because they are producing medicine, this is a service and liability for it amounts to medical malpractice. However, courts have held that we are in fact dealing with the sale of a product since the patient is going to a pharmacy and purchasing the drugs. There is also a connection in that the drugs are directly marketed to clients in television, magazines and internet ads, despite the fact that a patient must go through a doctor and get a prescription to get the medication. The distinction is important because medical malpractice claims in Massachusetts are subject to a host of additional requirements (such as expert witnesses and a tighter standard of proof) than lawsuits filed for general negligence. Defendant drug makers know this, of course, and are trying to make it tougher for plaintiffs to prevail. In a failure to warn of a known danger claim, the allegation is that the drug company, or the marketing partner, knew or should have known about a danger and failed to warn the FDA, medical health professionals administering the drug, pharmacies, and patients. In some cases, a patient will be told that the medication in question has significant risks. The doctor will also tell the patient of the potential benefits, and the patient can make an informed decision, or in other words, give his or her informed consent to take the medication. There is nothing wrong with this because they patient is told all of the fact and chooses what he or she will do knowing the risks. However, if the doctor doesn’t know about all of the risk because the drug company has not told him or her, and the FDA is unaware, meaning there isn’t a warning monograph included with the drug, the patient cannot be said to have been warned of a known danger and this can be the basis for a products liability claim for a Xarelto injury. In addition to failure to warn of a known danger claim, the Boston products liability lawsuit will often also include a claim of manufacture of a dangerous or defective drug. 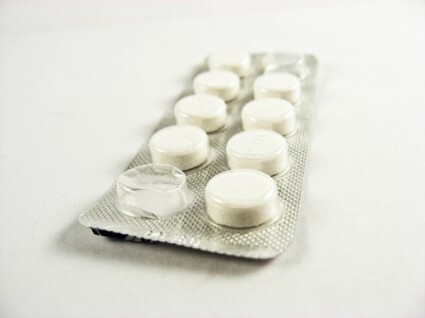 In this case, the plaintiff is arguing that the company was negligent in the design or manufacture of the drug in question and that resulted in damages caused to plaintiff. This claim is similar to an ordinary negligence claim, but it will require much more scientific proof and the use of one or more expert witnesses. For this reason, the claims can be rather complex and you should make sure your attorney has experience dealing with products liability claims against drug companies and has experience dealing with multi-district litigation (MDL). The reason MDL is often used is because with many similar claims in federal courts across the country, courts may wish to consolidate these claims for the purpose of judicial efficiency.